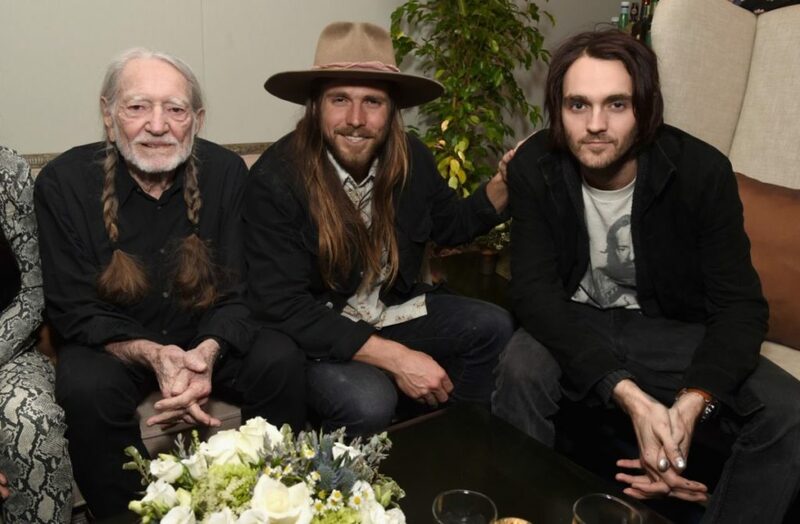 It was a multigenerational affair at the Recording Academy Producers & Engineers Wing’s annual Grammy Week Celebration on Wednesday night when this year’s P&E honoree, 85-year-old Willie Nelson, took the stage with his sons Lukas and Micah Nelson and Lukas’s band, Promise of the Real. 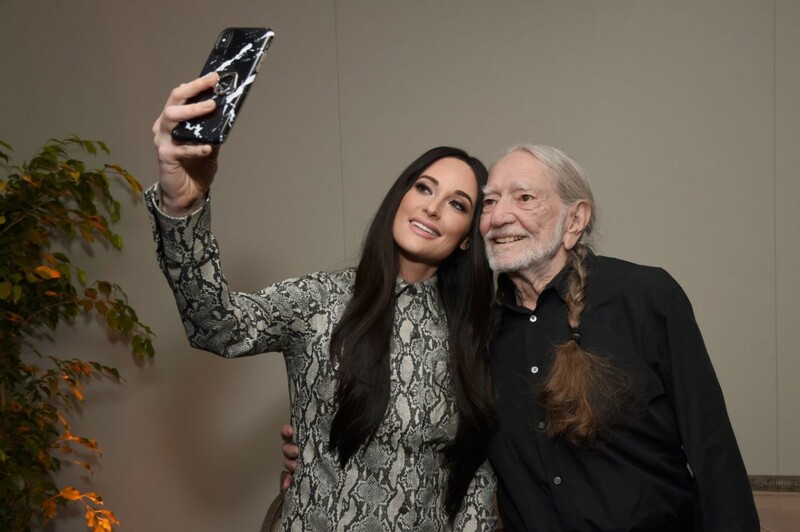 Also on hand were Grammy Album of the Year nominee Kacey Musgraves and veteran country songwriter and producer Buddy Cannon, who introduced the elder Nelson, and surprise guest Dave Matthews, who performed acoustic versions of Nelson’s 1961 classic “Funny How Time Slips Away” and his own “Gravedigger,” which Nelson covered in 2008. There was a lot of love in the room at Village Studios in Los Angeles as Musgraves proclaimed, “[Nelson] has this really unique ability to unite. … It’s really unlike any other artist I can think of. Underdogs, outliers, Republicans, rappers, presidents — everyone loves Willie! Speaking of presidents, I asked Willie one time, ‘So, why don’t you just run for president?’ He was like, ‘Because I’d win.’ Touché. Now in its 12th year, the Recording Academy Producers & Engineers Wing Grammy Week Celebration also honored the contributions of the Producers & Engineers Wing’s 6,400-plus professional members, who work together to shape the future of music recording. Nelson, who has eight Grammy wins and 200 hundred albums under his belt — and who planned to head back into the studio Thursday, according to Cannon — joins a list of P&E honorees that includes such illustrious names as T Bone Burnett, Jimmy Iovine, Quincy Jones, Neil Young, Nile Rodgers, Rick Rubin, Jack White and Alicia Keys. 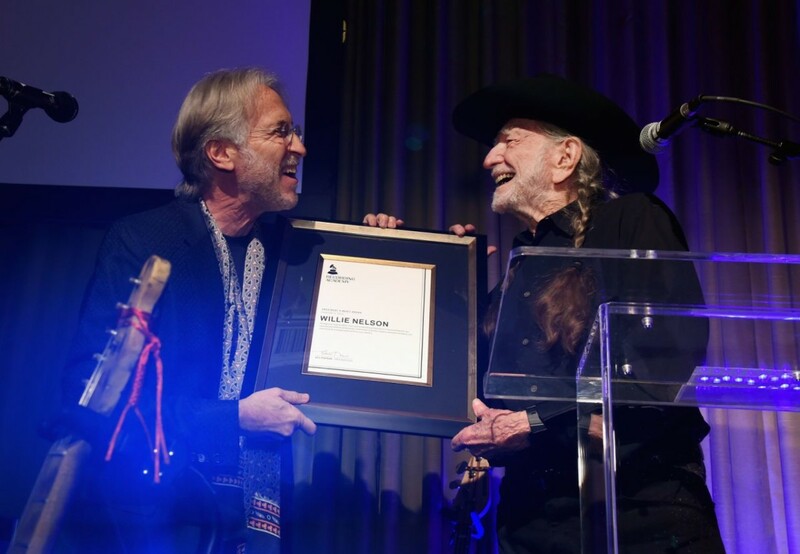 “Willie is one of the icons, and he has been a standard-bearer for all of us,” said Recording Academy president and CEO Neil Portnow. This entry was posted on Thursday, February 7th, 2019 at 3:07 pm and is filed under Awards and Honors. You can follow any responses to this entry through the RSS 2.0 feed. You can leave a response, or trackback from your own site.